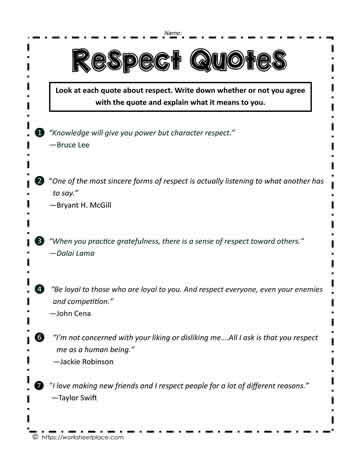 Use quotes about respect with your students to teach the importance of respect. These quotes are great for student use. Have them define them and determine if they agree with them and explain why or why not. Respect teaching ideas for the Character trait pillar of respect for grades 2-7.